For parents, the greatest responsibility (besides leading them to Christ) we have is showing our kids how to manage their money. With how much our world is centered around money, and the trials and tribulations that are associated with money, we owe it to our kids to teach them for 18 years of their life about money. Frankly, I think parents and schools spend way too little time teaching about money and is probably a big contributor to why we are a country of debt. To this day my mom has no recollection of the memory, but for me it left a big impact on my life. I feel like this incident was similar to the scene in Cinderella Man where their kids get taken away from them. That is why this trailer gets me teary eyed every time I watch it. 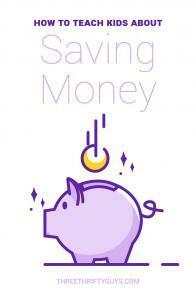 For our family here are few of the things we’ve done to teach our kids about saving money. Kids don’t have to rely on mom and dad for their sole source of income. There are plenty of odd jobs in our neighborhoods and communities to earn a few extra dollars. Recently, my 8-year old son asked the farmer who lets us raise chickens on his farm if he could earn a few dollars by doing chores two nights a week. So for two days a week he works for about 45 minutes each day, and earns $3 a week. When my son turned five we opened up an account of his own at our bank. We said you can start saving now, and can withdraw your money when you turn 18. Seeing this money slowly grow continues to provide motivation to grow his savings. Especially when this adds up over the years. Known as “401k mom and dad.” Once your child opened up a savings account, then offer some extra incentive. Offer to double your child’s contributions to their saving account. So if your son or daughter contributes $20, then you’ll contribute $20 too. This experience will help teach your kids the benefits of investing in employer 401k, and how it’s stupid to pass up free money. In 2009 we started clipping coupons after our 3rd child was born. In doing so our oldest saw us spending nap times clipping coupons, and we thought we could get him involved in it too. So we challenged him to clip coupons with us, and the coupons we used of his we’d give him 50% of the savings. So any coupons he clipped he wrote his initials on, and would get this extra money. Either way it was a win-win for our family. As our kids begin to earn money through home chores, coupons, or egg selling we’ve only made two rules for them. 1) They need to put 50% in your savings, and 2) They need to give 10% to church. Giving back to others less fortunate or to the Lord is a value we press the importance of to our kids. Ultimately our money is only temporary, and we’ve been entrusted to manage it for a short time. 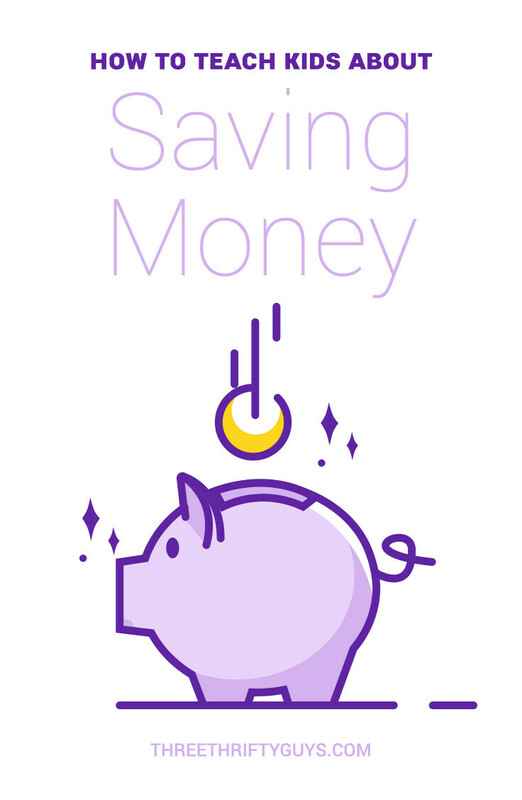 What tips do you use to help your kid save money? I have seen my friend, who was a teenager, being involved in tracking expenses of family. It brings greater sense of awareness about money spent by family. We also used to maintain a notebook, where we used to track down expenses. I think these are all great tips – especially providing motivation to save by teaching them about 401k matching and teaching them about the importance of allocating a portion for charities or causes they support. My husband and I don’t have kids (yet) but both agree money management is an important skill to teach them. Unfortunately, we both learned the hard way by feeling a little too rich after getting our first jobs. Good article. I couldn’t agree more. I think it is very important that kids learn to give out of money they have earned. Handing them a dollar to put in the offering as you walk in from the church parking lot does little more than make them a courier. When they give money they have earned it changes their heart. Love it! I have a feeling we’ll all be working for your son one day.